Form meets Function - Sitting Bull Fashion Bags! Leisurely and stylish - that's the fashion bag by Sitting Bull. This is the first collection of beanbags to cater for different interior design styles. The fashion bag is more than just an ornamental piece - it is an individual piece of furniture that can be seamlessly integrated into interiors that exude character. The fashionable designs fuse elements of baroque chic with homely comfort, cool styles with cosiness, vibrant patterns with living room flair, and much, much more. Due to its unique design it can be formed and shaped, at your discretion, for optimal sitting comfort. Its filling is made out of specially produced EPS beads that are extremely durable and higher in quality, and not out of standard shredded Styrofoam waste like most low quality beanbags. Additionally, to Sitting Bull's advantage, the cover material's surface is made of sturdy, high quality Polyester that can be easily cleaned with a damp cloth. But Sitting Bull's real test in quality is when you finally sit in it, and only then you shall know that there is absolutely no comparison! 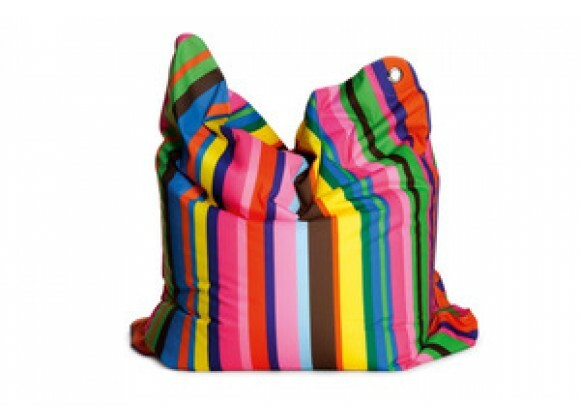 Discover the delights of a decidedly different beanbag. Style matters. but should be stored inside (not for permanent outdoor use or storage).